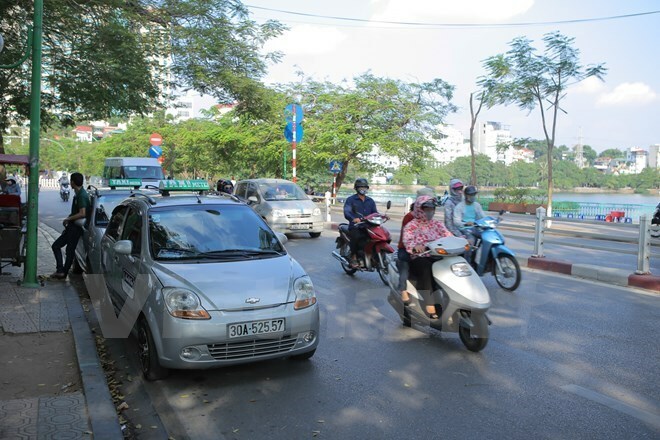 HCM City (VNA) – Grab Vietnam debuted its carpool service GrabShare in Ho Chi Minh City on May 9, a move hoped to help relieve local traffic pressure. This is the first carpool mobile application in Vietnam, helping users save up to 30 percent of the cost of the normal GrabCar service. It is also said to help drivers increase their income by combining two trips that have the same direction into one journey. This type of service encourages passengers to travel together so as to raise car use efficiency and reduce the number of vehicles on road, thereby contributing to easing traffic congestion and cutting down exhaust fumes. Grab Vietnam said it wants to make the online cab booking service more convenient and money saving so that no one will want to buy vehicles for personal use.